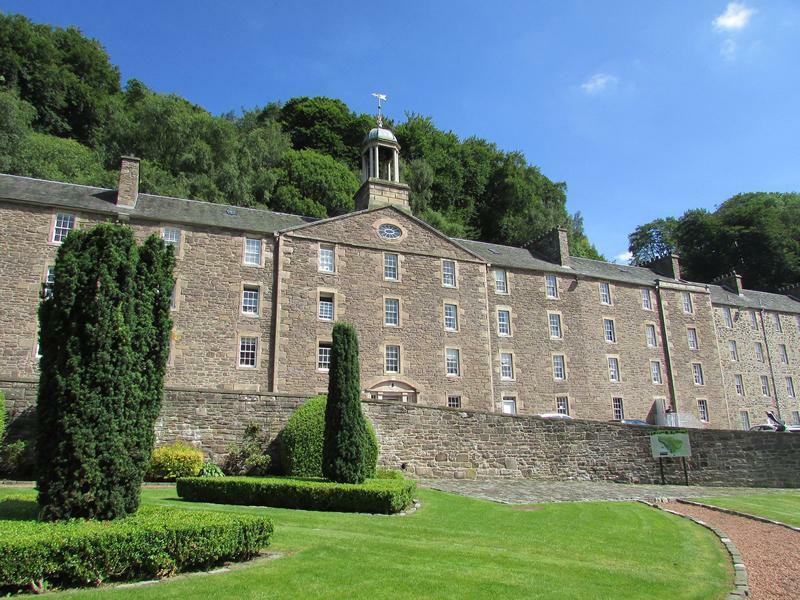 Attractions in the village include the New Lanark Mill Hotel and New Lanark Visitor Centre, one of Scotland's top attractions, welcoming around 350,000 visitors every year from all over the world. In addition to our permanent visitor attractions, we also offer an exciting range of temporary exhibitions, events and talks throughout the year. Sample the delicious fare in our family friendly Mill Café, which serves a range of lunches, light refreshments, home-baking and Fair Trade tea and coffee. Open daily 9am - 5.30pm*. (Sundays 10am - 5pm) You can also dine in the New Lanark Mill Hotel's Mill One Restaurant or Bar & Lounge. *Seasonal variations may apply. The New Lanark Mill Shop offer a superb range of contemporary gifts, books & Scottish produce. Taking centre stage is New Lanark Wool & Textiles which includes yarn produced on site, knitting kits and a selection of textiles. We are also joined by Brooks Menswear, a local company offering stylish gents fashions. Open daily 9am-5.30pm*. (Sundays 10am - 5pm) *Seasonal variations may apply. Stay overnight in New Lanark Mill Hotel and enjoy the peaceful riverside setting of this beautifully restored 18 century cotton mill. Guests can also make use of the excellent leisure facilities. Open to non-residents for a delicious lunch, early supper or dinner prepared using the finest local produce. Further accommodation options available include the comfortable and spacious self-catering Waterhouses, and the New Lanark Youth Hostel (operated by the Scottish Youth Hostel Association).